We encourage everyone to take the message of Communion With God and share it with others. Please teach as many people as you can to hear God's voice! We do not expect or require everyone who teaches to become certified. The people listed here have taken the extra step to submit themselves to scrutiny which allows us to be comfortable endorsing them, their ministry and their teaching. Discover the steps you need to take to become a certified CWG facilitator. See the embedded map below, or if it does not appear, click here to view the larger map. Click on a marker to view more info on that person. My name is Jocelyn Agpalo. This is a picture of me and my husband, Arthur. I was born in southeast Asia in the northern Philippines. When I was twenty one years old we moved to Guam, then in June of 2001 we moved here to Oregon. My family and I are now US citizens and permanent residents of the USA. I have earned a Medical Technology college degree while living in the Philippines, and another Early Childhood Education and English Literature college degrees while staying in Guam for almost 20 years. But most of all earning a bachelor, master, and a doctorate degree in Christian ministry and counseling are the kind of education that I have been waiting for all my life. Taking courses at CLU fill up the missing parts in and on me. I now work as a translator and an interpreter most especially on the medical fields to the entire United States of America and to all United States territories. I am also a freelance writer and most of the things that I am thanking of is the opportunity that God uses me in his ministry to translate His English written books into my languages of expertise which are in Tagalog and in Ilocano, on which I am now doing with CLU. Having a Doctoral Degree from CLU empowered me to do whatever missions and testimonies whom God has placed in my heart to fulfill His ministries here on earth. God has blessed me so much to be expert in three languages so that I could connect the bridges that serve as a gap into four areas of the world. Renato Amato and his wife Patrizia are both Certified Biblical Life Coaches, with a background experience of about 40 years in missionary ministry, making disciples and training Christian leaders in 15 different nations around the world since 1975. Renato is also a Certified Coach Trainer who, basing out of his home country in Italy, is presently training Christians leaders all over the world, via web conference, and using his teaching, coaching and training skills in 3 major languages: English, Italian and Spanish. As a Licensed Pastoral Minister with the International Church of the Foursquare Gospel, Renato is often invited to teach in various churches and he offers live seminars, not only in Italy, but also in other countries. His particular passion is to help Christians develop a personal and intimate relationship with our Heavenly Father and learn how to receive fresh spiritual manna from Heaven every single day by using the “4 Keys to Hearing God’s Voice” developed by Dr. Mark Virkler, president of Christian Leadership University. Renato has been practicing two-way journaling since 20 years and has published some of his journal entries in his blog. 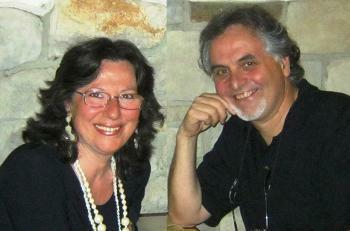 Renato and Patrizia have so far translated into the Italian language 9 courses from Christian Leadership University and they are both very enthusiastic in passing on and teaching others what they have studied and mastered during this time. Janelle Anderson is a graduate of the University of Colorado with a B.S. in Elementary Education and is currently pursuing a Master’s in Ministry degree with Christian Leadership University . She has over 20 years ministry experience serving as worship leader, Bible study teacher/facilitator, and prayer ministry. She is currently involved in a ministry training program which involves intense Bible classes, training in discipleship, mentoring and bringing inner healing to the Body of Christ. She also serves as a member of the worship team as a keyboardist, vocalist, and worship leader. Janelle has been married for 18 years to Bob Anderson. They live in southwest Virginia , in Christiansburg, which is in the Virginia Tech area. Go Hokies! 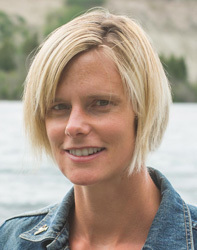 Zoe Ayrton is a Worship Director and Training Consultant, living in northern Canada, far from her UK roots. She works with her husband Simon who is the Senior Pastor of Yukon Bible Fellowship Foursquare Church and pastors a small group of musicians. She is a coach, mentor and encourager at heart. Zoe enjoys inspiring and releasing others to discover the gifts God has given them and watch them bloom where they are planted! On discovering the 4 Keys to Hearing God’s Voice, Zoe grew in hearing God’s voice and found this message so irresistible, she had to pass it on! She now works with individuals, small groups, women’s retreats and finds any way to put this message into her sermons to help as many people as she can hear the Father’s voice for themselves. This is an ongoing, wonderful, unfolding journey where she will never stop learning from Father, Jesus and Holy Spirit and is keen to pass on the simple but profound gift of hearing His voice, anytime and anywhere about anything. Click here for a 1 hour video of Zoe teaching through th 4 keys to hearing God's voice, and click here for a sample of Zoe's journaling. Zoe has been married to Simon her husband for 12 years and enjoys discovering life and how God teaches her childlikeness through her 2 young children, Abigail and Isaac! Vaughn Willard Baker is no stranger to renewal and to pastoral ministry. A United Methodist Pastor for 30 years, Vaughn has earned the B.A. degree in History from Miami University (Ohio). He has also earned the Master of Theology and Doctor of Ministry degrees from Perkins School of Theology at Southern Methodist University. Vaughn is currently working on his Doctor of Theology dissertation from the University of South Africa, Pretoria, in the field of Missiology. In addition to pastoral ministry, Vaughn has taught for fourteen summers at the theological school at SMU. Vaughn has taken part in various denominational and independent renewal activities, including the Walk to Emmaus, Discover God’s Call, Toronto Airport Christian Fellowship Soaking Rooms, the Healing Rooms of Spokane Washington, and Promise Keepers national gatherings, both for Pastors (Atlanta-1996) and the Stand in the Gap Rally (Washington, D.C.-1997). Vaughn has visited both TACF, as well as Brownsville Assembly in Pensacola, Florida. Vaughn has participated in Communion with God seminars in Toronto as well as in Texas on a variety of occasions, having led some as well as hosting Dr. Mark Virkler. Vaughn, his wife Jacque, and their daughter Amanda currently live in Weatherford, Texas, where he serves as pastor of the Christ United Methodist Church of Fort Worth. Mike Blackburn is a Research Director for a major corporation and has been involved in Technology Management for over 25 years. While engaged in his career, Mike has also been active in ministry including teaching adult men and couples, assisting in youth ministry, short-term mission trip organization, leadership as an ordained deacon, presenting Creation Seminars and preaching. Mike has a Masters Degree in Engineering Management and is working on a Ph.D. in Christian Leadership at CLU. The course "How to Hear God's Voice" had a profound effect on Mike. The blessing he received was that his relationship with the Lord grew far beyond what he could imagine. A recognized speaker, certified as a Distinguished Toastmaster, Mike's desire is to help others realize the rich relationship God wants to have with every one as we hear His voice. I have attained my Bachelors of Science Degree of Ministry through Christian Leadership University. The course 'How To Hear God's Voice' has better enabled me to hear and know the voice of my heavenly Father. I was hungry for more of God, and on August 19th, of 2004 Jesus Baptized me with His Holy Ghost. Since that time, my relationship with God has been revolutionized. He has placed in me a desire to help other believers to become confident in hearing His voice...because He says, "His sheep hear His voice; and the voice of a stranger they will not hearken to." God desires to speak, we just have to learn to listen. Joe Brock is the Sr. Minister of an Assembly of God church in Central, Indiana. He is married and has 5 beautiful children. Joe has been involved in church ministry for over 20 years serving as a youth minister, associate minister and now a Sr. Minister. Joe has a Bachelor’s degree in Christian Ministries from Bethel College in Northern, Indiana and is working towards his Th.D. through Christian Leadership University. He has done continued Biblical studies with a personal emphasis in New Testament Greek. In addition to church ministry, Joe has traveled to various parts of Europe, Asia, Northern Africa and the US doing what has been coined – Strategic Spiritual Warfare. 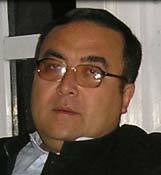 He has authored one book, a number of booklets, and recorded a number of teaching series. 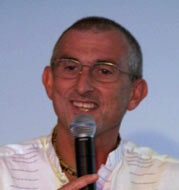 Joe has been involved in the deliverance and inner healing ministries and has ministered at a number of conferences. or visit Joe Brock's website and discover the many resources he offers. Debbra Bronstad is a Licensed Marriage and Family Therapist and Life Coach who integrates the principles of Hearing God's Voice, inner-healing prayer and Spirit-led counseling to help clients heal from the root causes of anxiety, depression, PTSD, grief and relationship difficulties. "Mark and Patti Virkler's teaching on Hearing God's Voice has revolutionized my ministry since 1999. As a Christian since childhood, there were times when I knew the direction that the Lord wanted me to go and I was blessed when I chose that path. However, I could never describe to someone else how I knew God was speaking to me. Since understanding and practicing the 'Four Keys to Hearing God's Voice', I have learned to hear from the Lord more consistently when I pray. I am excited to lead others into hearing His voice in small groups, individual counseling, retreats and 'How to Hear God's Voice' workshops. When we hear God speak and we know it is Him speaking, He transforms our lives. He brings the healing, guidance and the encouragement we need. We grow to love the Lord more when we regularly experience this two-way fellowship with Him." Debbra has 30 years of ministry experience including leading Bible studies, women's ministry, retreats, couples classes, missionary work and cross cultural ministry. She is a gifted teacher, speaker and counselor, effectively leading disciples of all ages to hear God's voice for spiritual growth and inner healing. She regularly uses Transformation Prayer Ministry (formerly Theophostic Prayer Ministry) and "Prayers That Heal the Heart" in her counseling ministry, as well as for retreats and training workshops. Debbra also has over 12 years’ experience as a health coach teaching people how to help their bodies heal through nutrition & lifestyle choices. She is available to speak to churches and groups in the US and Canada. Debbra is a graduate of the University of Michigan. 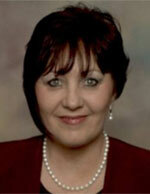 Her masters degree from Bethany University is in Clinical Psychology, specializing in Marriage and Family Therapy. She maintains a private practice in Rochester Hills, Michigan and is also licensed in California and Colorado. She has also completed several courses through Christian Leadership University. 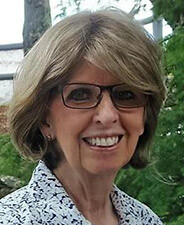 Pauline Burthwick, raised in the Lutheran tradition, has a Bachelors and Masters degree in Social Work and a Doctorate in Teaching and Learning: Research Methods. She also has been recently part of the birthing of Releasing Destiny World Wide, a non-profit called forth and established through journaling with God to bring the gospel of the Kingdom to the nations. The first official call and ministry occurred in Pakistan in September of 2006. Pauline has training in different models of inner healing prayer, generational deliverance, discernment and the use of other Christian interventions to bring emotional healing to the bride of Christ releasing her into her destiny. During the course, “How to Hear God’s Voice”, the Lord invited Pauline to teach people wherever she goes to hear His voice. He said that He is their Father and He wants to give them their new name and their true identity. Rob is a native of Ottawa (Ontario, Canada), fluent in French and English, and holds degrees in Civil Engineering and Prophetic Ministry. He and his wife Johanna have been married since 1989. Rob is a good communicator and no stranger to teaching; he spent three years teaching English in China, has taught 4-6 year olds at church and delivered numerous presentations in the course of his employment. Rob says, "Learning to hear God's voice is too good to be kept to oneself!" He and Johanna are further maturing in Christ as a result of learning to hear His voice more easily and in its various expressions. Originaire d'Ottawa (Ontario), Robert parle couramment le français et l'anglais, puis possède des grades universitaires en Génie civil et en Ministère prophétique. Il est marié à son épouse Johanna depuis 1989. Robert est un bon communicateur et a une expérience d'enseignement variée, ayant enseigné l'anglais en Chine pendant trois ans, à des enfants de 4-6 ans à l'église et fait de nombreuses présentations dans le cours de son travail. Selon lui, ''Apprendre à entendre la voix de Dieu ne peut être gardé pour soi!'' Robert et Johanna approfondissent leur relation avec Christ par suite d'avoir appris à entendre Sa voix plus facilement et dans Ses expressions variées. Mother [Rev] Maxine Carey is a multi-gifted facilitator, spiritual teacher, group counselor, consultant, mentor/Spiritual Mother (Mother of Zion), Senior Pastor, [senior depart.] “consultant”, Kingdom Change Agent, … addressing issues affecting areas pertaining to relationships and spiritual development. As an overseer to various ministries she provides Words of Wisdom, Words of Knowledge and Word of encouragement through her writings “Mother’s Witt”. She has founded, conducted, and supported many support groups in many states. 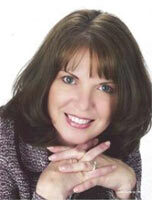 She holds a “M.S.” in Christian Counseling from CLU (Christian Leadership University), working on a “M.S. (concentration in Gerontology & Sociology). She has a “B.A.” in Community Service, from U of R (University of Rochester, NY), an “A.A”. in Human Service from WCCC (Wayne County Community College, Det. Mich.) all with a minor in Business. She is a certified teacher with ETA and also teaches “Hearing the Voice of God”, “Prayers that Heal the Heart”, “Spiritual Mentoring” … with materials from, CWG Ministries (Communion with God), using “Lamad Style Teaching” for over 20 years and other classes. Certificates as: “Gerontology” from St. John Fisher, Facilitator from Sage-ing International, Facilitator for Mental Health Support Groups, … Learning always to be continued. I have been in active ministry since 1977. The Lord has directed me to move in the ministry of faith and grace through the gifting of teaching and prophecy. As I listen to God, under His direction, I can teach others how to listen and recognize His "voice". The "Four Keys" invoke communication with God for a fuller and more personal relationship with our Abba Father. The "Four Keys" have affected my life by bringing realization of a personal God, Abba Father, not a supreme being waiting to point His finger and shoot. I have found the love of God--a relationship with two way communication. He answers me in the still small voice of the evening quiet; or the roar and rush of the noon day schedule. God IS with us always, not a shout away but here, within, leading, guiding, speaking each moment of the day that we desire to listen. Everyone can enhance their relationship with God, by learning and implementing the "Four Keys" in their daily life. As simple as the keys are, they impact our lives remarkably. Habakkuk 2:1,2 states, "I will stand at my watch and station myself on the ramparts; I will look to see what he has to say to me, and what answer I am to give to this complaint. Then the Lord replied: "Write down the revelation and make it plain on tablets so that a herald may run with it." We are to watch, wait, listen, and write down what the Lord has to say to us. Rev. Cynthia Cole-Lindsey has been in ministry for thirty years, of which 20 of those years were in Brooklyn, N.Y. where she ministered in Church Development/Administration and Christian Education. She was a founding and Executive Board member of The United Spiritual Baptist Ministers Council, an International consortium of 63 member churches. For the past 9 years she lives with her husband Paul, in Rochester, NY. "When I encountered CWG four years ago, I saw it as the answer to my prayers! It's true! It's Do-able! It Works! Through CLU and CWG our blessings are multiplying! This is the Good News! God wants his people in intimate loving relationship with Him and HTHGV is a right way to get in and stay in!" Ordained two years ago at St. Luke Tabernacle Community Church, pastor, the Rev. 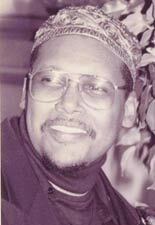 Dr. James Evans Jr., Rev. Cole serves on the Ministerial Council as an Associate Minister of J/P IAMM 4U (Jail/Prison Intercessory and Mentoring Ministry for Youth/and Adults). "This ministry is a direct result of being able to clearly hear the voice of God. The possibilities are limitless for what God will do, when His people can hear and obey Him! I am encouraged and excited about teaching this gospel to populations where there is a true hunger and thirst for God! I dare not limit God, so where ever God leads me to bring this teaching, I am whole-hearted and committed to go!" Rev. 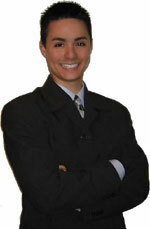 Cole is a graduate of CUNY Brooklyn College and is presently in the CLU Masters program. Blessed to have broad experiences as a community activist and organizer, performing artist in theatre and poetry, she connects the dots between culture and community sharing gifts in the anointed word, writing, preaching and teaching. She and her husband Paul are from Raleigh, North Carolina and between them have 8 children and 11 grand children. Back in 1986 I saw an advert in an American Christian magazine about Bible School courses. At this time I had been pastoring a small growing church unpaid for just over 4 years, but it was now time for me to resign from my teaching post and pastor full time. It was my longing to teach the Bible rather than Physics and Mathematics. So I personally worked through a course then called "Communion with God"
I was astounded! . It introduced me to journaling and put all I had wanted to express about walking closely with the Holy Spirit and personal spiritual development so clearly. Our vision for our new church was one where the Holy Spirit led and all the people were filled and flowing with the Spirit. How do you teach and encourage that? In the first months of my new position I persuaded a group from the church to come to our Bible School and go through Communion with God with me. What a transformation! We took 22 weeks to go through the course, as I still needed to assimilate the material so that I could teach and model it. At the same time we embarked on the Bible Survey material - our church centred Bible School was born. Margaret and I are now busy teaching people to hear God in the church we attend now and find it a great joy to run weekend "4 keys Seminars" and other courses for churches and groups in many places in the UK and Europe. We are now Mark Virkler’s representatives in the U.K.
Dale Cresap has been actively involved in the Christian Community in Idaho Falls for 34 years. He sends out a daily inspirational note and wants to assist others in learning to hear God’s voice better for themselves. Dale learned to hear God’s voice gradually in a wandering journey that took 30 years. About 10 years ago he attended a seminar by Mark Virkler whose life work has been to develop and teach an approach to this important topic that anyone can follow. Mark and Dale have since become friends and Dale’s daily messages appear on Mark’s ministry website, Communion With God. Mark has encouraged Dale to teach his material and he is eager to find groups of any size who want to learn this valuable skill. Lord, what do you want to tell me today? The Lord's response: "Phillip, you have been remised in your journaling and seeking my face over the past few weeks. Thou shalt have no other god before me. Don't concern yourself with things of this world. Don't busy yourself with matters over which you have no control. I know your needs before you ask. I know how to provide for your needs. I will provide those things that you don't even know that you need. Trust in me and I will set you free. . . . "
Yes it is true, God knows His sheep and His sheep hears His voice! We can show you how to have a two-way dialogue with Almighty God. We "invite you to experience an exciting dimension of prayer" that will change your perspective on talking to and hearing from God, forever. 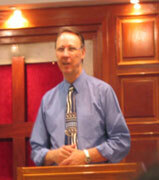 Phil has been facilitating seminars for over 30 years, both in the business arena and in God's arena. 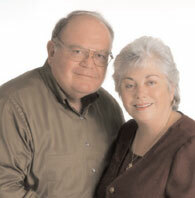 He and his wife of over 40 years, Gwendolyn, recently established The Sandhills Community Ministry wherein their mission is to equip "the saints for the work of ministry, for the edifying of the body of Christ, till we all come to the unity of the faith and of the knowledge of the Son of God,. . . ." Eph. 4:12-13. Phil is ordained to the work of the Gospel Ministry by the authority and order of the North Carolina College of Theology. for more information or to schedule a seminar. 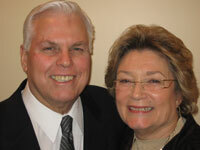 Bill and Sue Dupley have been ministering for over 25 years, preaching and leading worship on four continents. Together they minister renewal and teach adults and children how to hear the voice of God. Bill and Sue believe that the supernatural should be the natural for all believers and that every believer can impact their world for the Kingdom of God as they hear God's will and follow His leading. Bill and Sue’s home church is Toronto Airport Christian Fellowship where they lead worship, serve on the prophetic and ministry team and have been ministering the "Toronto Blessing" to God's family for the last 12 years. Together they have co-authored “Kids in Renewal,” a dynamic Sunday school program published by Strang Publishing that teaches children their Heavenly Father's heart for them, how to hear His voice, and how to receive and impart spiritual gifts. Bill has recently released a new book, available here: The Secret Place. Bill & Sue are experienced conference seminar leaders having conducted seminars at Catch the Fire, MissionFest, Releasers of Life, and Iris Ministries. Their passion is for God's family to know their Heavenly Father and to hear His voice, so that they may live in the fullness of the giftings and the freedom that Jesus bought for them. The Reverend Charles Eduardos is a native of Cleveland, Ohio and an ordained minister with 38 years of experience in pastoral and evangelistic ministry. He is Pastor at All Saints Lutheran Church in Olmsted Falls, and also serves on the Board of Cleveland Clinic's CPE Program and Chaplain for the Rocky River Police Department. He is an experienced Executive/Corporate Coach, trainer/facilitator (Registered Corporate Coach with the Worldwide Association of Business Coaches) Certified NLP Practitioner who has worked with organizations (profit and non- profit) to support them in identifying and tackling their challenges. Charles provides consulting services, Workshops and Seminars on Diversity, Team Building, Stress Management, Listening and Strategic Planning. He is also an award winning conference speaker. He has presented at Cleveland Clinic, Baldwin Wallace University, CEOGC, Eliza Jennings, R.E. Warner & Associate, Inc., OASPE Local 744, Aflac Regional Training, U.S. Department of Justice regional and national conferences in Houston, TX., San Jose, CA., Indianapolis, IN., & Fort Worth, TX. and has also been published in newsletters and magazines. Paul and Sofia Garrett love hearing God’s voice and watching others connect with Him directly. They are from Costa Rica where they ministered in the workplace and in the church throughout their married life. In 2000 they took a sabbatical and went to the TACF School of Ministry Heart Module where they met Mark Virkler and learned CWG, Prayers that Heal the Heart and much about the Father’s heart. Following that they became tentmaking missionaries in Costa Rica where they set up a ministry school at their local church and established Communion with God and Prayers that Heal the Heart as a foundation. They later went to be missionaries in Mexico sowing God’s seed there as they studied the Word and went on many mission trips to different states.
. You can read their personal blog at http://blog.paulsofy.com. I accepted Jesus as my Savior and Lord in 1982. I loved getting to know the Lord. I read through the Bible several times with my children but after about 20 years the Bible seemed so dry. I felt there was so much more to receive but I didn't know how to get there, kind of deep sea fishing from a dingy! So I tried different versions of the Bible, reading commentaries, Bible on tapes, cd, vhs, different pastors and churches all of which left me feeling dry and frustrated! One day as I was sharing this with a friend she invited me to a Bible study that was featuring Mark Virkler's How To Hear God's Voice program so I went. My heart lept within me as I listened to Mark's presentation, he assured me that God was still alive and well and as thrilled to speak to me as I was to hear from Him! (God had been speaking to me the whole time but I didn't know how to hear!) The greatest part was that it was ALL Biblically based, You cannot imagine my excitement! Unknown to me my husband had been feeling the same way spiritually and when he watched the dvds he was sold out. Using the methods that we have learned in this program we are experiencing a richer more intimate relationship with God, each other, the body of Christ and on and on it grows! I have been journaling now for a little over a year and I notice that every few months it seems like the Lord elevates me to another level of understanding and spiritual growth. When I read His word and don't understand I ask God and He shows me what it means and how to apply it to my life. A real one on one ministry- the best way to grow! My husband and I sense God calling us to start a Home Church, hopefully within the next year and the primary teaching will be How To Hear The Voice Of God. I CAN'T WAIT TO TELL THE WORLD! Georgeann is a retired Nursing Home Administrator and an ordained minister through Joan Hunter Ministries and Antioch International Ministry. She has a Bachelors degree in Social Work and a graduate of the School of the Prophets through Christian International. She has completed credits through Christian Leadership University towards a Master of Divinity degree. 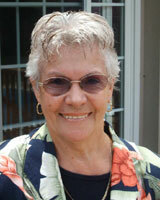 Georgeann is the assistant director of DeBalm Ministry (inner healing) and conducts bible studies in nursing homes. 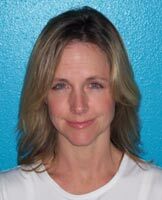 Married with 2 children and 2 grandchildren, she is an advanced certified scuba diver and enjoys guitar and drawing. 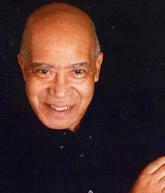 Sylvester R. Gough, Sr. is a member of Evangel World Prayer Center in Louisville, Kentucky. During his over 20 years of ministries, he's taught and preached in three denominations. His teaching consisted of Sunday school, seminars of various subjects. He also hosted and taught two local/regional radio broadcast "Moments of Truth" and "High Life Living," a program of Jacob's Well church International in Louisville, Kentucky. Many have been blessed by his teaching ministry. 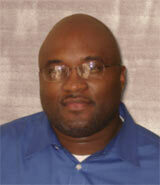 Sylvester has attended Louisville Bible College and is presently a correspondence student of Liberty University. He is also a student of Christian Leadership University. Prophetess Dr. Shaloma Gray has been hearing from the Lord for over twenty years. She has delivered God’s word of deliverance, healing, hope, understanding, and life to many. She has received prophecies that have shown life, death, and resurrection. Shaloma has received over one hundred dreams and visions from God that have foretold direction and events of the future of many individuals, including her own life. Shaloma confirms God’s faithfulness to His people and proclaims God’s desire to speak with His children today! This is how I often begin my devotional time with my Lord. I delight to hear what He wants to say to me and the direction He has for me each day. And any time I am unsure about something, I just go to Him and He guides me. He asks me to Trust Him. Since discovering that I could actually hear the Voice of God in my heart and that He truly wanted to speak to me if I would only take the time to listen, my desire has been that everyone would know this. My husband Larry and our daughter Anna have also discovered this wonderful gift of hearing the Voice of God every morning before beginning their days. We would like to share with as many who would listen how Hearing the Voice of God has changed our lives and how they too can hear His Voice. I am not the most organized of persons and so one of the things the Lord does for me each morning is give me a goal for the day, a list of things that I should get done. This is very helpful to me and He makes sure I don’t forget anything. My time is used well and there is enough time to get it done. Carol Guttman has been a lifelong learner in the school of the Holy Spirit and speaks with an enthusiasm anchored on the promises of God. 2 Peter 1:1-21 is one of her favorite scripture verses and Carol actively seeks and desires to become a partaker of the divine nature of Christ, sit at the feet of Jesus, learn from Him, and lead others into the incredible delights of knowing Him through journaling. Carol says she journaled sporadically prior to 3/31/03 but the Holy Spirit challenged her long before that date with these words: "Eternal life is to Me, the one true God, and Jesus Christ whom I have sent. But do you know me?" John 17:3. Rocked by this challenge, then the Lord asked Carol "Would you not spend one hour with Me daily?" Under heavy conviction Carol began to seek His face to really know Him and spend that one hour with Him daily. Carol still journals every day and says they are love letters to the Lord which He answers with His love letters back. She says this time with the Lord is very precious and is the most important time of her day. Prior to learning this it was a one-way conversation as Carol did almost all the talking and hardly ever really heard the Lord's voice. Now she knows what it means to be quiet before the Lord, focus on Jesus, listen to the Lord's spontaneous voice, and write what she sees and hears. The course has been a blessing for me as it has enriched my understanding of the various gifts of the Holy Spirit. The course has also helped me be confident in the working of the Lord and the leading of the Holy Spirit. I live in a remote part of India in a state where 96% of the population are Christians and people are hungry for the word of God and want to have a personal relationship with Him. I have the conviction that the Lord is calling me to teach others in my Country on how to hear God's Voice so that they can also experience the Joy of listening to the Lord's Voice and be led by Him. I have been actively involved in the Ministry since 1987 and have completed my Bachelor of Christian Studies from the Senate of Serampore College, Post Graduate Diploma in Psychological Counseling and a Doctor of Christian Ministry in Christian Counseling from Christian Leadership University. I have taught How to Hear God’s Voice in over 30 churches. Email Dr. Halliday at [email protected]. Bob Highland is the Public Relations Director for CIPAC (Christians' Israel Public Action Campaign), the only lobby in Washington DC that lobbies for Israel from a biblical perspective. He and his wife Myrna have recently entered the house church movement and have a thriving meeting in their house, and a vision to plant many more. They are also Team Members of The Healing Rooms ministry in Washington DC, and are regulars at "The Gate," a "New Testament prophetic experience" that meets every Saturday night at Chevy Chase Baptist Church in DC. Bob is also a jazz pianist and keyboard artist and regularly plays and sings the "Great American Song Book," ministering most often in area nursing homes. 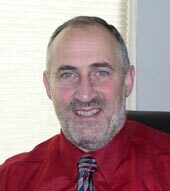 He is a graduate of the University of Buffalo with a major in History and Government, and has enjoyed a long career in sales. Bob and Myrna have been married 48 years and have three children, and eight grandchildren. They reside in Mount Airy, MD. 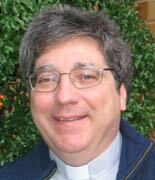 Ron Horst is an Anglican Priest of the Anglican Church of Canada. He has led churches in Newfoundland and Ontario. Ron delights in seeing others come into new-found freedom as a result of their hearing from God. Ron has been involved in healing ministries for over 20 years. He holds a Doctorate of Ministry and a Master’s of Divinity from Christian Leadership University. His undergraduate degree is from Cornell University. The ministry of How to Hear the Voice of God has helped Ron move in the flow of God’s Holy Spirit. He is able to teach as one who has overcome many difficulties in this area. Through the sound instruction from the Virkler ministry, and by God’s grace, he has been able to receive God’s love and be moved in God’s service. 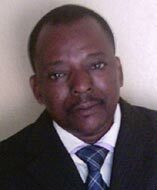 Gbadamassi Hansindé Inoussa is the founder and General Coordinator of a Mission based in TOGO (West Africa) named ‘Ministère la Vaillante Armée du Christ’ (The Valiant Army of Christ): V.A.C. Created in 1991, this Mission is working with all Christian Evangelical denominations in areas like: Training, Evangelism, Church planting and Social Projects. I recognize that Communion With God is a principle in the Kingdom of God and that this teaching which is a blessing to me must be passed to others so that the will of God must be accomplished. My vision is to make every Christian a leader in their area of action. How to Hear God’s voice is one of the foundational things which can make a Christian to be a leader. Since learning Communion With God, I have taught the four keys to hearing God’s Voice. Our conferences have these themes: Goal setting, how to receive direction from God, the anointing makes the difference, Communion with God, Administration of the Church. For example this year 2006 (from November 2005 to November 2006), we held 13 Conferences and Seminars for 997 Pastor and Christian leaders; we taught 3790 Christians in churches about how to evangelize their area. In all these, we emphasized the importance to hear God’s voice and how they can do it. Since learning how to hear God's voice several years ago Dave, Cindy and Phillip Johnson's lives have not been the same. 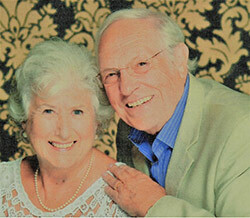 For over 30 years Dave and Cindy have been actively involved in ministering to young people and adults. After learning how to hear God's voice, their youngest son Phillip has captured the passion to see other Christians learn that God is still talking and wants to talk to them. Dave, Cindy and Phillip actively minister as a team in inner healing and deliverance and teach others "How to Hear God's Voice.” Their down-to-earth approach helps Christians step out of their busy, empty lives and develop a fulfilling friendship with God. They believe that God still speaks to His children and are committed to helping them hear His voice. 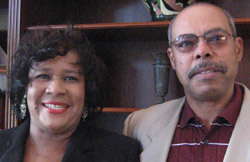 Sister Audrey Jones and her husband Christopher Jones are founders of Voice of Deliverance Outreach Ministries. They currently strive to work and reach those OUTSIDE the church walls. “We want to bring the word of God to the streets, corners, and to save the lost. Our approach is if they won’t come to God, then we will bring God to them.” Then through prayer and study, I will bring them to learn and know how to hear from God. God has called me to teach His word, and though I am new to this, I am very eager to learn all that God has to show me. I believe the wife of a minister is to work right along side him, and that when God called one to do His will, He called the spouse as well. I have taught Bible Study to teen and middle school age children, and have begun showing them how to hear from God. I believe that everyone should be able to discern and hear God. God has helped me to be a better help to others, and I want to share this blessing by teaching them how to hear from their Father. A lot of Christians, as well as myself, don’t take the time to hear God, but by becoming STILL, and QUIET, we CAN. Janice Jones is a life long Christian who loves the Lord. As a wife, mother and Emergency Medical Technician, she has seen and felt the intense hunger for peace and comfort in the soul of mankind, including her own. Janice has a passion for sharing the awesome power and love of Jesus as witnessed in her own life and takes joy in learning more of who God is from His Holy Word and the experiences of others. As an instructor with Communion With God Ministries, Janice sees herself as a servant of God, partaking in mankind's original design, to glorify the Creator. Richard (Rick) Kerr recently returned from the harvest fields in the Middle East. Actively ministering the Voice of God in India, Africa, Sri Lanka and Kuwait as the Director of the Christian Leadership Seminary Middle East. Rick and his wife Mirela now reside in Tyler Texas and are actively involved in Trinity Fellowship Church and in the leadership of the School of Kingdom Impartation. Rick has a Bachelor degree in Christian Ministry with CLU. “Hearing the Voice of God has changed me dramatically and continues to do so from glory to glory.” Contact Rick at [email protected]. When God led me to Christian Leadership University as a student, my life was a mess. While taking the course "How to Hear God's Voice", God spoke to me through the journaling, visions, and dreams. It was so refreshing to be able to hear God's voice speaking love and revelation to me! It revolutionized my life for God. Now as a CLU professor, I am so blessed to see all that God does for my students. This course is so anointed and life changing! Teaching “How To Hear God's Voice" and other CLU courses is a ministry God has laid on my heart besides ministering through deliverance/counseling. I have a Masters and Doctorate in Christian Counseling, a Ph. D. in Ministry, and am an ordained minister. I am also a Fayette Local School Board member and the Fayette Fine Arts Council Treasurer. Nick Kusmich is an ordained minister and active member of the Open Bible Faith Fellowship. He has pastored for seven years in various contexts and church denominations. Nick is an author, seminar speaker and founder and director of Shekinah Global Ministries and the Operation SOZO Movement. Nick also serves as CEO of Total Life Prosperity Inc.
Raised Baptist, I have always had a strong love for the Bible and the stories written in it. I continued my activities in the church and participated in various ministries and outreaches. Then came the faith movement and the infilling of the Holy Spirit. The Lord spoke personally to me and called and anointed me to the ministry of healing by the laying on of hands. I sought for a school and avenue that would help develop the ministry gift I had been assigned by the Lord, and found CLU. I am currently a student at CLU majoring in Divine Healing. My name is Angela McKee. I am a Survivor of sexual abuse, physical abuse and mental abuse. I am a student at CLU, I am studying to become a Christian Counselor. My first course at CLU was "How to Hear God's Voice" and I experienced more healing in that 12 weeks than in the last 13 years of life. I believe that it is my calling to minister, heal and teach women who have been abused and are suffering. My heart is to share the message of Christ our "wonderful counselor", so they may find peace, joy and love in a fulfilling God purposed life! Angela has just launched her own website sharing inspirational two-way journaling and powerful testimonies. Be blessed and encouraged by her ministry at www.lifeabundantmission.org! My name is George Medellin. Learning to hear God’s voice changed my life. For many years, I pursued God all the ways I knew: Bible reading, Bible study, Bible memorization, fasting, accountability groups, Christian colleges, and Christian graduate schools. I also served as a pastor at a Pentecostal church… and could not hear God’s voice. Nothing. Nada. Zilch. Zero. The Lord led me in 2011 to Mark and Patti’s book, Prayers that Heal the Heart, which had about four pages in an appendix about hearing God’s voice. This seemed important, so I bought Four Keys to Hearing God’s Voice and devoured it. One day, as I was working alone praying, I said aloud, “Jesus.” A spontaneous thought came to my mind that I knew was not my own, “Yes, George.” I exclaimed, “It’s Him! It’s Jesus! He answered me! He spoke to me!” I don’t remember if I responded back to him, but I do know that I spent the rest of that day joyful, singing praises to God, thankful that I heard His voice. That experience showed me two things: 1) I did not believe God heard my prayers, and 2) if He did hear me, God would not answer. I saw that I was an unbelieving Believer. Since that experience almost six years ago, I journal daily, sometimes multiple times, and have learned to see Jesus with me or with others wherever I go. I’ve also grown in the spiritual gifts of prophecy, healing the sick, and want to share hearing God’s voice with everyone I meet. God healed many wounds in my life through hearing His voice and Prayers that Heal the Heart. I am not the man I used to be. My education includes a Bachelor of Arts and a Master of Science degree. I’m also pursuing a Doctor of Ministry degree with Christian Leadership University. My wife and I, Wendy, have been married almost 20 years and we have two human kiddos and two fury ones. Several years ago Joy Miller sensed a deep desire to further her Christian education. Her search led her to Christian Leadership University and the “How To Hear God’s Voice” course. She had been journaling for many years but was concerned about the validity of what she was receiving; “Is this really from God?” she wondered. This course has given her the answers and the confidence she needed. 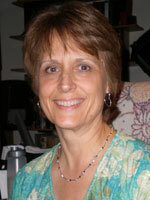 Joy has taught the course in small groups and is eager to expand to the seminar setting. She is a graduate of Christian Leadership University with the Doctor of Ministry degree. She spent many years living in Johannesburg, South Africa where she worked with Campus Crusade for Christ and Stonecroft Ministries. In addition she has spent time ministering with Youth With a Mission. Today she continues to actively participate with Stonecroft as a leader and speaker. She is also a seminar speaker concentrating particularly on her passion of prayer counseling and health and wellness. Because of her varied experiences she is comfortable ministering in any denomination. Joy is a businesswoman who, along with her husband, has a financial services agency. In addition, they owned and operated a Bed & Breakfast. She is located in North Carolina and willing to travel wherever God leads her in the U.S. or abroad. Her greatest desire is that God’s people will come to know and hear His voice and enjoy intimacy with Him! Rev. Moin received his B.A. degree from Ashbury College, Wilmore, Kentucky. Studied at Asbury Theological Seminary in Wilmore, Kentucky and received his Master of Divinity degree from Dubuque Theological Seminary, Dubuque Iowa. Since then he has received his Ph.D and Dr. of Ministry from Christian Leadership University, Monroe, Louisiana. He has been pastoring in both denominational and charismatic churches and has helped establish and oversee two church-centered Bible colleges. He has taught and ministered across the United Sates and in other countries. He has been connected with Communion With God Ministries and is presently on the Board of Advisors. Rev. Moin brings over 40 years of ministry experience along with a love for Jesus and his fellow man. He and his wife, Lois, have three grown children and three grandchildren. Kelli O'Neill has been a Christian for nine years, and for nearly six of those she had a burning desire to know the answer to the question "How do you know when God is speaking to you?" After six years of asking that question to different churches, leaders, and other individual Christians, God navigated her steps to create a divine meeting with some individuals who opened her eyes to greater depths in the Lord. This resulted in her finding Christian Leadership University, where she is now pursuing her Masters degree. Traveling through the course "Communion with God" (now titled "How to Hear God's Voice") revolutionized her walk with the Lord, and as a result, she has had more spiritual growth in the last three years than all of the first six years put together. She believes that "How to Hear God's Voice" is a course that every Christian should take. It is vital that anyone who comes to know the Lord through the Cross and His salvation must learn to hear His voice in order to grow spiritually and to accomplish all He has destined for them. Part of her burning desire in life is to teach others how to hear Him for themselves. Rev. 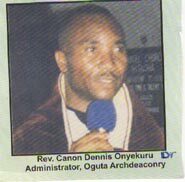 Canon Dennis Onyekuru is an Anglican minister church of Nigeria for the past 26 years. He is highly gifted in prayer and the Word. He has been hearing from God like the Prophets of old since he under went studies with Professor Mark Virkler. He did his undergraduate studies in Federal University of Technology Owerri. He completed his Masters and Doctoral degrees with Christian Leadership University. His desire is to raise a people who hears the voice of God like the Prophets of old. He is in charge of six Parishes and twenty one stations. He has witnessed over fifty miracles of God. Karyn is a graduate of Christ for the Nations (CFNI), Dallas Texas. She spent her years at CFNI learning how to hear God’s voice and how to walk by His spirit, which has become the foundation of her Christian experience and ministry. Since then she has spent over 25 years in various teaching capacities and ministry positions, with emphasis on the prophetic and healing & deliverance. Karyn has also earned a Master’s Degree in Ministry from Christian Leadership University and is passionate about teaching others to be able to hear God’s voice by observing the four keys as laid out in the How to Hear God’s Voice course. She has an explicit passion to see men and women set free and walking in their potential while coming to maturity in Christ. Karyn has ministered in various denominations with her unique gift of speaking, from in-depth teaching to amazing story telling. She also offers seminars/workshops on topics such as: How to Hear God’s Voice, Dream Interpretation, Prayers that Heal the Heart and Prophetic Intercession. My heart is to guide others on their path of discovering ways that they hear God and experience Him. I have had a personal relationship with Him and spent much time with Jesus as a very young child. During the course of my life, I drifted and started to try to live life on my own but God‘s hand was always upon me and eventually He got my full attention once again. During that time, I forgot how personal God was and how much He wanted to communicate with me. Through this course and other vital experiences, I have not only discovered hearing God and experiencing Him but my communion with Him has increased throughout my daily life. I have had the pleasure to share with others at work, with cell members, with children in my neighborhood, and with family members that they also can hear God and He wants to talk with them. It is my desire to see more people develop their relationship with God by recognizing His voice, seeing His dreams, discovering His ideas and the personal way He converses with them. I believe through their personal time with God, they will be drawn into a deeper relationship with Him and through this, their lives, families, and communities will be transformed. 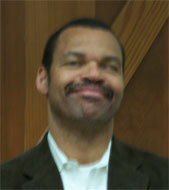 Kinney Redding was ordained as a deacon in 1988 and licensed as a Minister in 1990. Ordained as a Pastor in 1993. Founder and Pastor of New Life Christian Ministries in Mableton, Georgia. Bachelor of Science degree from Georgia State University in Atlanta, Georgia. Completed Certificate Program in Pastoral Counseling from The Culver Institute in Austell, Georgia. Honorary Doctorate from Malachi Bible College in St. Louis, Missouri. Currently seeking Master of Divinity from Christian Leadership University. Former All-American football player at Missouri Western State University. The Communion with God curriculum has drastically transformed my life into a closer and more personal relationship with God. From hearing His voice, understanding and participating in vision, to having The Spirit of God reveal dreams to me this has been a life changing experience. I have added this curriculum to the Sunday morning teaching and God continues to show Himself faithful to His promise of fellowship with us!! Georgia Risenhoover is congregational chaplain for Gateway Community Church in Granbury, Texas, and is also chaplain for Interim Hospice located in the same city. A master of divinity graduate of Christian Leadership University (CLU), Chaplain Risenhoover was ordained by Agape Baptist Church in Fort Worth, Texas, and endorsed for chaplaincy by the Baptist General Convention of Texas (BGCT). Her educational background includes four units of CPE (clinical pastoral education): one from Hillcrest Baptist Hospital in Waco, Texas, and three from Huguley Hospital in Fort Worth, Texas. Prior to graduating from CLU, Chaplain Risenhoover attended Southwestern Baptist Theological Seminary in Fort Worth and Trinity Theological Seminary in Indiana. She is a native of Lebanon, Oregon and graduate of Southern Oregon State University. Chaplain Risenhoover, a member of the Cheyenne River Sioux (Lakota) Indian Tribe and a direct descendent of Chief War Eagle, has special training in grief counseling and marriage enrichment. 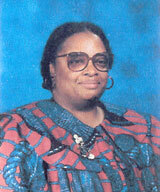 In 2006 she was named "Chaplain of the Year" by Huguley Nursing Care Center. She is married to C.C. Risenhoover, a bestselling author and pastor. The couple has seven children, four sons and three daughters. 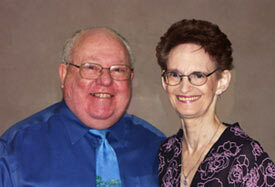 Pat and Rudy Roth have been members of Toronto Airport Christian Fellowship (TACF) for the past 8 years. Pat received a Bachelor of Divinity from CLU in June of 2002, as part of the Lamad style Bible School established at TACF in September of 2000. 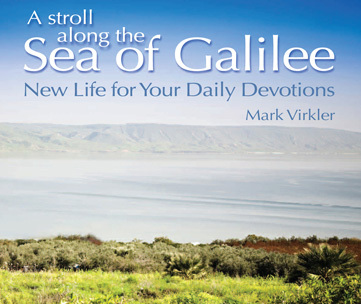 Mark Virkler was an integral part of her first year of that Bible School . He imparted his heart for Hearing God’s Voice in everyday living and establishing a two way dialogue with God, so that life took on a whole new wonderful and exciting meaning. It was there that Pat learned how hearing God’s voice every day would make that wonderful change in her life. Hearing God’s voice for herself and her family brought a much deeper and more intimate relationship with God and was the beginning of a brand new outlook on her purpose in life. She encouraged her husband Rudy to learn how to hear God’s voice for himself and he took the Communion With God course with Mark Virkler. In applying what he learned, his life has also been transformed by hearing from God. Depending on God to counsel and advise them, they have served together at TACF in the Prayer and Care ministry for the past 5 years, helping many people to hear for themselves how much God wants to speak to them and share with them His love and care. Pat and Rudy are also a part of the Healing Rooms team at TACF. There they rely very strongly on hearing God’s voice for each person that they pray for. They have seen many people touched and healed as God’s heart for each one was prayed over them. Both Pat and Rudy have a strong desire to see others learn to hear God’s voice and heart for themselves and become the man or woman that God has purposed for them to be. Hearing God’s Voice is the best thing that anyone of any age can learn and then begin to see transformation in their life and ministry. 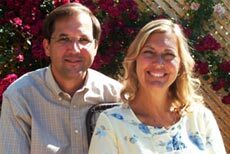 David and Tracy Ruleman are facilitators with Communion with God Ministries and have been living and teaching many of the insights and truths developed through that ministry since 1984. They lead The Gate DC, a new paradigm Church that encourages every believer to participate in the ministry of Jesus Christ in corporate meetings, marketplace ministry and in small group settings wherever they occur. Their passion is for the manifest presence of God and the advancement of the Kingdom of God as the glory of the Lord rises upon His Church. They have been involved with home churches for more than 30 years and in 1984 they formed Overflowing Life as the umbrella ministry that has been used to start churches, pro-life ministries, ministry for business owners and executives, care for orphans, open soaking rooms, healing rooms and provide international ministry. They are IAHR State Coordinators for Virginia, Maryland and the District of Columbia and Directors of the Healing Rooms of Washington DC and board members of Master Potter Ministries and Love of Israel. They are both ordained ministers and have ministered together for most of the 40 years they have been married. David and Tracy Ruleman reside in Washington DC. Reginald S. Screen is a native of Bainbridge, GA and is founder and Senior Pastor/Developer of New Beginnings Fellowship in Duluth, GA. He also served as the Senior Pastor of McEver Road Alliance Church in Gainesville, GA for four years and as an assistant pastor at Hopewell Baptist Church in Norcross, GA for five years. He is an honorably discharged veteran serving 4 years in the U.S. Air Force. He received an Associate's Degree in Accounting from Gwinnett Technical Institute; a Bachelor of Arts in Biblical Studies from Trinity Bible College and Seminary; and a Master of Divinity degree and a Doctor of Ministry degree from Christian Leadership University. He is currently working on a Ph.D. from Christian Leadership University. Reginald loves hearing God's voice and is committed to teaching others "How to Hear God's Voice". Reginald and LaShunda, his wife of almost 17 years, have 4 beautiful daughters, Jessica Nicole and Jordan Charis, Jada Faith and Joya Grace. John has been anointed by God to serve as a Senior Pastor of the Vine Christian Fellowship, an international and interdenominational church in Hong Kong, China. With his wife of 32 years Sandra, they share a deep love for Asia and for the people of this church and are in turn deeply loved by its members. God has promised them that the best years of their lives are in front of them and has given them and the rest of our leadership team a vision for a church that will have major influence and make significant impact both in Hong Kong and overseas. John has completed a ministry degree with Christian Leadership University, including the subjects Communion With God and Counseled by God. He is currently pursuing a master’s degree, also with CLU and has embarked on his first book ‘21st Century Christian – A New Breed’. Debbie Somjak has felt a call on her life since her walk with Jesus started in late 1987. Viewing daily life in accordance to God’s word has given her an opportunity to see things from both a world and Christian perspective. Growing up with an unfortunate childhood taught her life can be unkind. However, after having a taste of God’s love for her, Debbie has realized God’s calling of helping others overcome life’s obstacles. Debbie has been faithfully ministering to others in several areas including prayer/intercession, counsel, teaching, biblically overcoming financial debt, spiritual mothering, preparing, instructing and ministering to children of all ages for over 16 years. 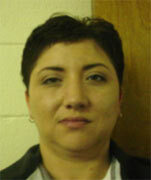 Debbie resides near Charlotte, NC with her husband of 18 years and their three children. Joel Trenkle has a undergraduate from Regis University, Denver, Colorado graduating with a double major in Psychology and Religious studies. He then received a Master Degree from St. Thomas Seminary in Pastoral Care. He recently earned his Doctor of Ministry degree from Christian Leadership University. He has an extensive background in counseling both in the secular and the Christian arena. Joel is pastor of Dayspring Mission Church in Sheridan, MT. Of his past and present Joel states: "I have experienced many explosive and powerful events in my life. In 1998 my wife and I were introduced to spiritual warfare and deliverance ministry by Pastor Jack Hayford at the Church on the Way in Van Nuys California. I thought we had really reached a pinnacle in our ministry until we found Christian Leadership University and experienced an absolute change in our life through Communion with God and How to Hear God's Voice. Life can be completely filled with treasure and excitement when you know you are hearing from our Lord Jesus and joining His will with yours on a daily basis. I invite you to learn how to walk with Him." Dawn Veldman’s heart is for everyone to hear God’s voice on a daily basis and not a hit-and-miss basis as so often happens in our busy lives. She has been hearing His voice consistently now since doing the seminar with Mark Virkler almost three years ago. Her home church is Good Friends Fellowship (home of Quick Study by Ron and Rod Hembree) in Orangeville, Ontario, where she has had the privilege of teaching Mark Virkler’s courses. Dawn has served and taught on the Mission Field in Africa as well as living there with her husband and every-growing family. Consequently she loves to travel and is willing to go (almost) anywhere to bring the good news of the Kingdom and the Father Heart of God. Carlotta Waldmann founded Cross Walk Life, Inc. in 2000 and has been teaching others how to hear God's voice ever since. She is a Bible College educator, Registered Nurse, holds a Bachelors in Theology and is pursuing her Masters in Counseling at CLU. Carlotta has been certified in personal ministry with Christian International, Elijah House International, Proclaiming His Word and LifeShapers, International. She and her husband, Lou, are both ordained ministers and live in Ohio. Carlotta has a heart to teach the nations how to Hear God's Voice in every way possible and does so via her Internet radio show, Cross Walk Talk, DVDs, CDs and live training seminars. 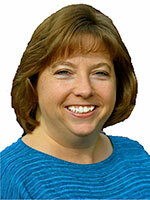 She has an itinerate Para-church ministry, teaching and training ministry teams for churches. She is also known for her strong prophetic gift, Restoration Prayer Ministry, Tearing Down Personal Strongholds series and teaching the Elijah House School of Prayer Counseling Ministry. 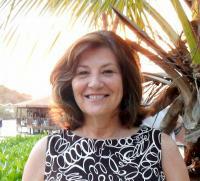 Carlotta is available to teach "Hearing God's Voice" wherever the Lord leads. Her personal purpose is to provide insights so that everyone will have an intimate relationship with God, know their true identity "in Christ" and be equipped to manifest the power of God. 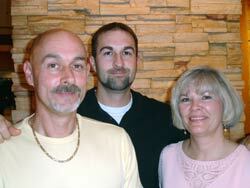 Please visit their site at www.cwlinc.com and contact her online or by phone at 724-206-0530. Sandy Zondervan, as part of her role at Revival Fires and Toronto Airport Christian Fellowship Partners in Harvest Equipping teams, brings training to churches in the UK and elsewhere. She carries a fire of passion for Jesus. Through her prophetic teaching, preaching and practical seminars, she awakens and sets fire to the call inside each of us to live life to the fullest, to come to our senses, to step out in our God given authority, destiny and inheritance and to see joy and adventure restored. 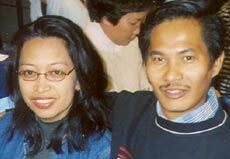 Sandy came to the United Kingdom to be part of Revival Fires in January 2003. She had been an active staff member for seven years at the Toronto Airport Christian Fellowship. While there, she was tremendously impacted by a powerful move of the Holy Spirit. She also spent several years being trained with Youth With A Mission, a Christian mission organization founded by Loren Cunningham. Sandy then went on to help co-lead discipleship training schools, counseling schools and mission teams in both America, Europe and in Asia. Sandy has her roots in the rural farmlands of Guelph, Ontario, Canada. It was great, as a church, to go through the Hearing God’s Voice seminar together. Sandy delivered the weekend sensitively and the teaching was appropriate to our own needs as a church. Everyone really appreciated the opportunity to go deeper and we were excited to discover how easy it is to hear God speaking to us. We are more confident now about sharing what we are hearing. One person in particular had struggled so much in the past to hear God’s voice for himself. Over the weekend, he heard God and has continued to hear God speak to him regularly. It has totally changed his relationship and has restored a passion that he felt he had lost forever.